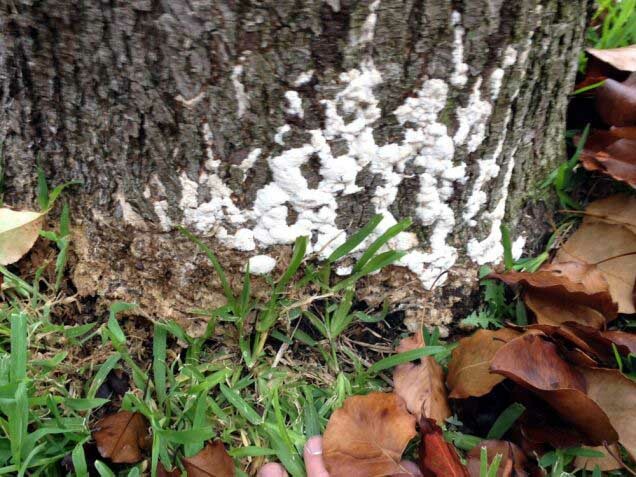 If you see this fungus on the soil or your tree, there’s a problem! In this photo, we wanted to show you what the sporemats of cotton root rot looks like when they emerge on the soil or tree surface. You can see the cottony like mats and the decay that is occuring at the base of the trunk. Trees in this state of decay are a hazard to your family and home and should be removed immediately so they do not fall and cause damage.